Trying on eyewear at North Spring TSO’s open, comfortable optical is fun. The atmosphere is designed to inspires style, conducive to choosing a great looking pair of eyeglasses. Glasses galore! 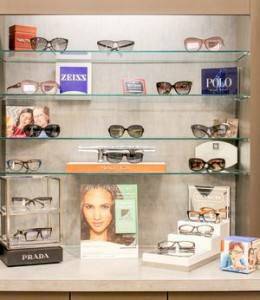 There are plenty of eyeglasses, designer frames and sunglasses to choose from, even for the price-conscious consumer. We carry the latest European and American designer eyewear collections in a variety of styles, colors and materials including titanium, stainless steel and plastic eyewear frames. Mix and Match! We can customize your eyewear. With lens coatings your indoor glasses can be sun-ready, and your sunglasses can be prepared with your prescription. No need to agonize over which frames will best suit your features, our opticians and optical staff are happy to assist you if you like. We can even take your picture so you can see how you look in different pairs of trial glasses. Eyeglasses and contact lenses are our expertise, so the advice and information we offer takes into account fit, functionality, and how the frames will impact your vision too. Contacts come in a variety of options at Texas State Optical, and once your have had your contact lens fitting and prescription, we can teach you how to insert, remove and care for your new lenses. Ask us or read on to learn more about rigid gas permeable (hard contacts) vs. soft contacts, the pros and cons of dailies or monthlies, contacts for astigmatism and other specialty contact lenses, and even color contacts. Drop By… with or without an appointment! New clients and all our current patients are welcome to visit us with their current prescription. 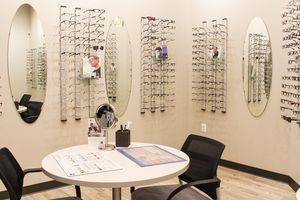 Our conveniently located optical shop inside the eye clinic is easily accessible from Tomball, north Spring, and The Woodlands. TSO North Spring in The Woodlands, TX specializes in Scleral lenses, specialized contact lenses that make contacts possible for many people for the first time.